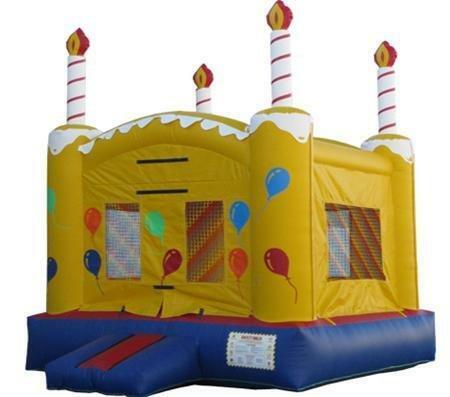 With four inflatable candles on top of the corners, renting the Birthday Cake Bouncer is a great way for your child to celebrate his or her birthday with friends and family. It will provide hours of fun for the kids at your party. The bounce house has a basketball hoop inside which will allow the kids even more entertainment.